Indeed, author took great pains to describe and document the journey of India after 1947, the journey of the largest democracy of the world. 'The largest democracy'- we take great pride in saying that to show superiority, on the world stage, as compared with the neighboring power China, which has one-party rule. The book is divided into five parts in chronological order. 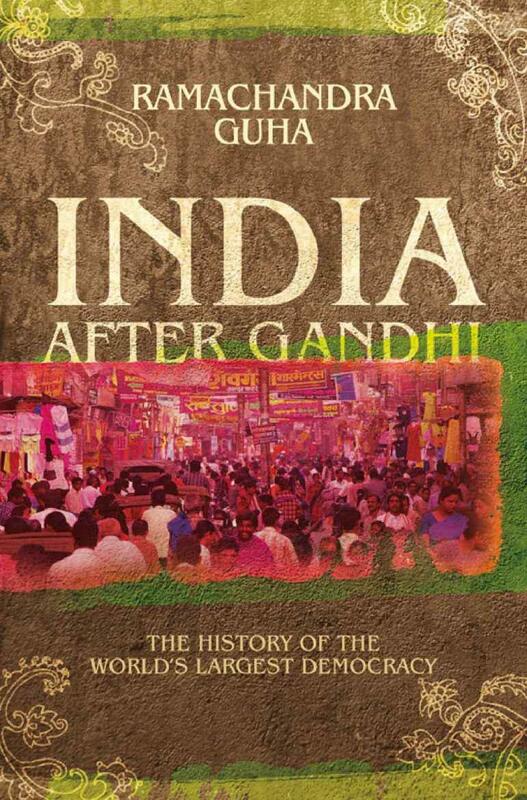 Each book describes a different period after 1947, giving detailed accounts of happenings of that period in India. In the first part, the author describes how India became Independent and its immediate concerns like refugees, the merger of princely states to British India, Kashmir problem, making constitution etc. were handled. In the second part, he describes the India under Nehru’s prime ministership. This ranges from Nehru’s unchallenged leadership in the beginning of the 1950s to his dwindling position after losing Sino-India War in 1962. This obviously did not go well with the public and Nehru looked weaker than ever but he was able to retain his post till his death. The part three concentrates on the weakening of Centre. In southern states, Non-Congress parties emerged as strong contenders for power. Kerala became the first state of India where a Non-Congress government was sworn in, led by E. M. S. Namboodiripad and probably first democratically elected communist government in the world, whose even commitment to democracy or respect to the ballot was untested till then. But they set examples to other communists in world by successfully working within the framework of Indian Constitution. The part four goes through the rise of populism in India. Elections were more about catchy slogans. Policies were not decided on the basis of their impact on nation building but on their ability to woo the general public. The slogans like Garibi Hatao (Remove Poverty) were very useful in winning elections but the public was not shown any roadmap that would remove or reduce poverty. The last part of the book describes the last two decades where the reign of coalition governments considerably weakened the Centre’s authority. Many riots, major and minor, took place during last two decades. Also, author focuses Indian government’s efforts to open Indian economy to world and end what was called License Raj. The writer attributes many problems of India like Zamindari, untouchability and riots among many others to basically four factors: class, caste, religion and language and goes in details of the measures taken by makers of the constitution and by successive governments to implement those measures. The abolition of Zamindari system and redistribution of lands from feudal lords to landless farmers were few of them. The government of Nehru leaning towards socialism started this and communist government of West Bengal did it more enthusiastically, in part because communist uprisings had their roots in peasant and labor movements. Even though a large population of India is landless but as compared to 1950s we have covered a significant distance. The condition of Harijans, later called Dalits and Scheduled Castes, also did not improve significantly in villages far removed from the progress made by their brethren in cities but now they were a political force to reckon, more so after the rise of political parties committed especially to their cause. Same goes with minorities who were given constitutional assurances, reinforced from time to time by different governments, of their safety and equality. Indeed, their position is far better as compared to neighboring countries. The makers of our country dreamt of a country with social equality, but what we have is equality in legislature and governments but inequality in society. The author also discusses in detail why India survives despite several western intellectuals declaring that India will fall apart owing to its differences. They argued that India is not a country, but is made up of countries which are very different from each other, citing the example of Europe. After any unfortunate event like the death of Nehru or Indira Gandhi, the imposition of emergency in 1975, the rise of insurgencies in different parts, they wrote off India. But India survives. The hard work of Sardar Patel in the integration of India is intact. The accommodation of aspirations of all sections in the very idea of India and Constitutional assurances has contributed to that. India is intact and all the languages are freely promoted, but Pakistan disintegrated on lingual basis after they tried to impose another language on a Bengali speaking population and a major ethnic tension goes on in Sri Lanka after Sinhalese was made official language ignoring Tamil. Ramachandra Guha also addresses the question although not directly that whether 'growth of regional parties and populist policies has weakened democracy in India.' Let us consider views of both sides of the argument. It may be argued that greater power to states or regional parties would, in fact, give importance to the local issues at the Centre. The formation and winning of mass support by caste or region based parties have actually given powers to the communities for which these parties stand. Their belief in democratic ways for the fulfilment of their demands is actually a pleasant development. That is one side of the argument but then author comments on nature of this democracy, "The decline of Parliament, and of reasoned public discourse in general, has meant that the Government forces are swarmed by the opposition almost instantly after an electoral mandate. There is no patience, either on the part of the government or the opposition, to respect the authenticity of the mandate to rule given by the voter to a parliament or legislature." He concludes that India is no longer a constitutional democracy but a populist one. Good review! Helped me to recall what I read.